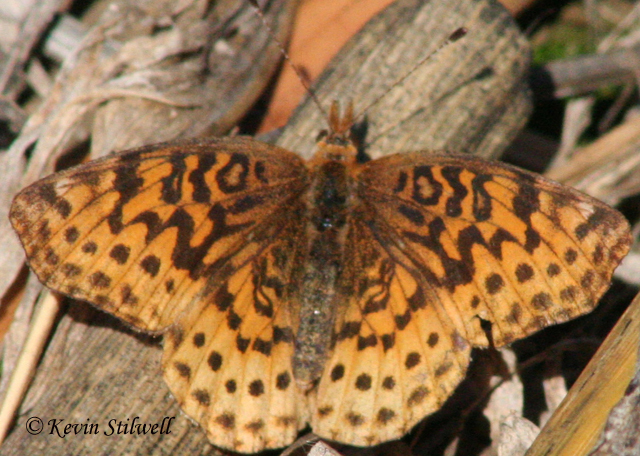 Identification: Forewing squared off below tip. Upperside orange-red with heavy black markings. 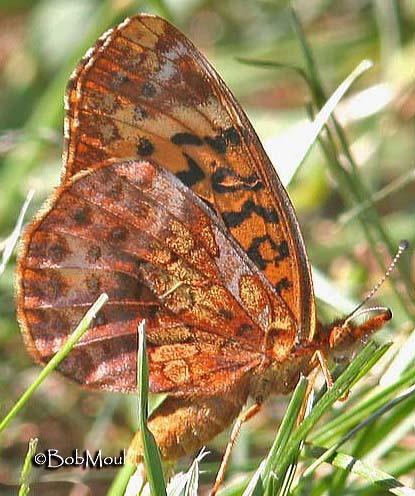 Underside of hindwing patterned with orange and purple-brown; off-white basal patch and metallic silver spots lacking. 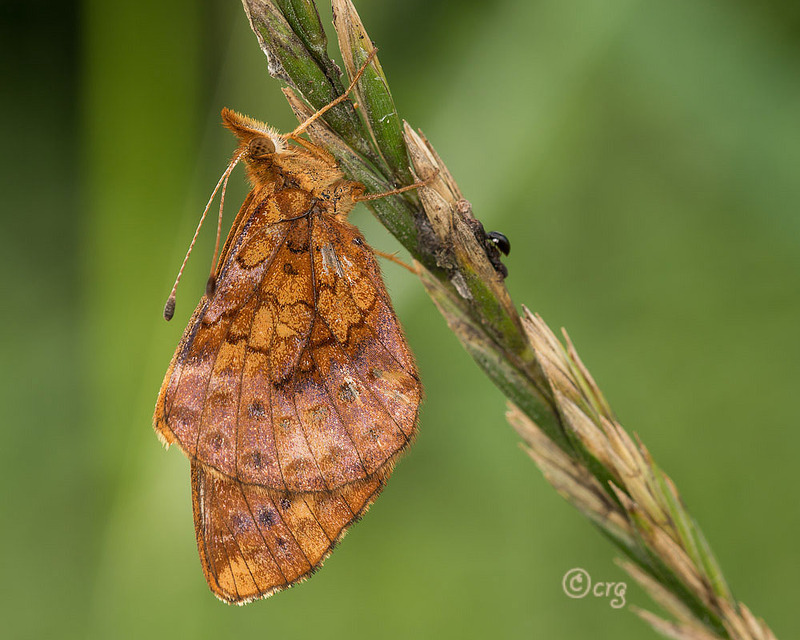 Life History: Males patrol meadows with a low flight, during warm daytime hours. 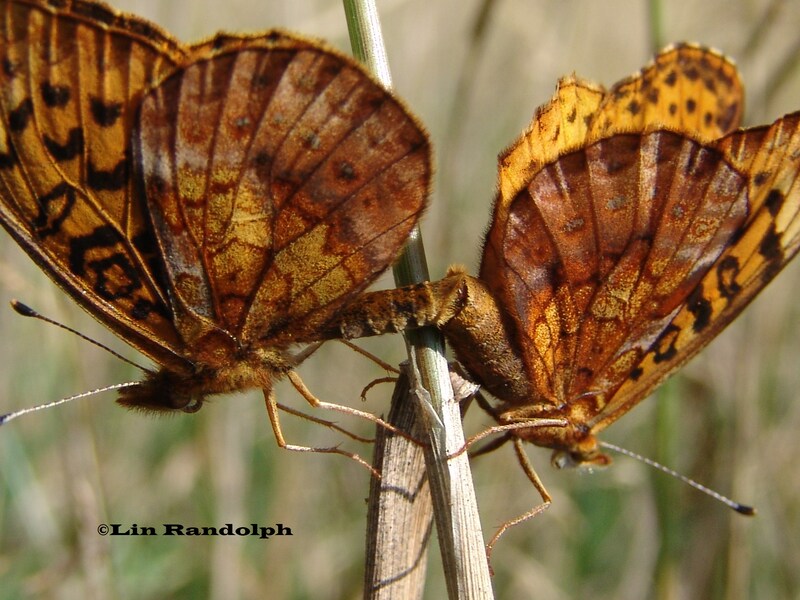 Females lay eggs on twigs and plants other than the host violets. Caterpillars feed on violet leaves and hibernate when in the third to fourth stage of development. Flight: Two to three broods from late April to mid-October. Caterpillar Hosts: Violets including northern white violet (Viola pallens) and woolly blue violet (V. sororia). Adult Food: Favorite nectar sources are composites, including black-eyed susans, dandelions, and ox-eyed daisy. Plants from other families, such as verbena and dogbane, are visited less often. Habitat: Usually wet places marshes, wet aspen groves. Range: Eastern British Columbia east through southern Canada and northern United States to Newfoundland; south to northcentral Oregon, central Colorado, northeast Tennessee, and northwest North Carolina. 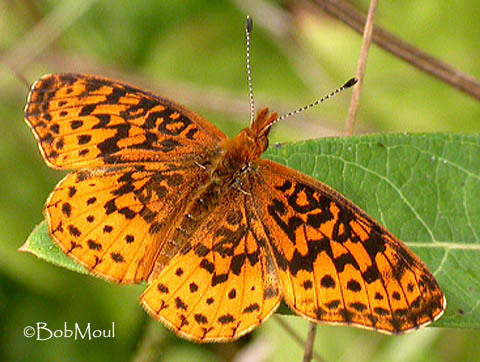 Due to its adaptability to disturbed habitats, the butterfly is expanding its range southward from the southeastern states.